It's the lunar new year season soon and that only means more feasting! 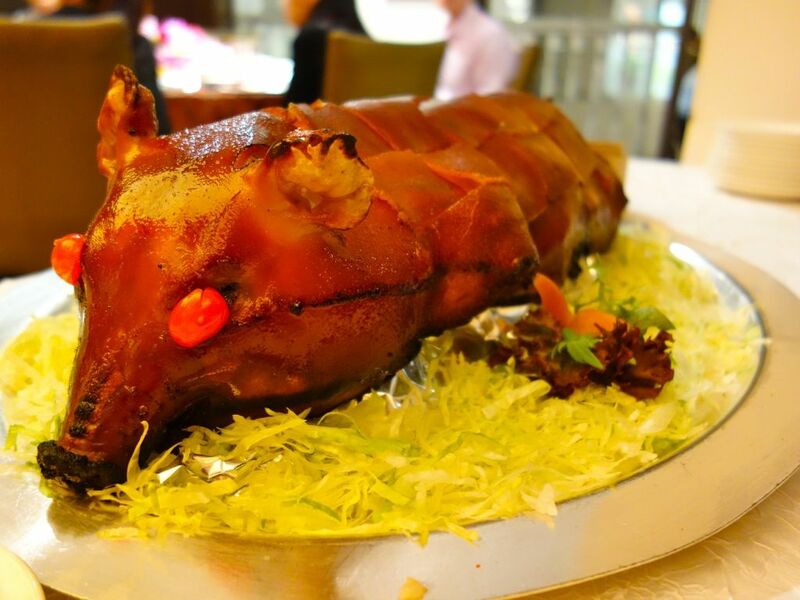 I recently checked out the CNY offerings at one of the Park Hotel Group's properties, Grand Park City Hall. Award winning Park Palace has been lauded for it's authentic Cantonese gastronomy and this is about as traditional Chinese banquet style as it gets. We had the super luxe Imperial Five Treasures Golden Shunde Yu Sheng which is priced at an auspicious $888. So what goes into a yu sheng aka Chinese salad that costs this much? Abalone, Lobster, Geoduck Clam, Salmon and Hamachi, topped with Caviar and Fish Roe. Top that up with 24k gold foil and there you have it. In place of the traditional salad of radish, carrots, pickled ginger and pomelo, crispy fried vermicelli was used. Not the best substitute in my opinion unless you really love fried food. The crispy silver fish that was added had us fishing around for the treasured pieces. That said, I can see how this dish would appeal to middle aged Chinese businessmen. Toss toss toss! 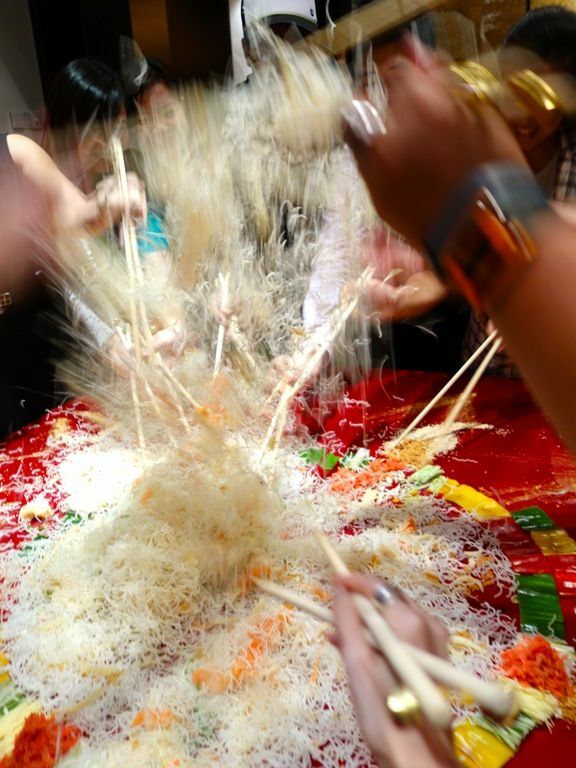 The massive yusheng feeds close to 30 pax. 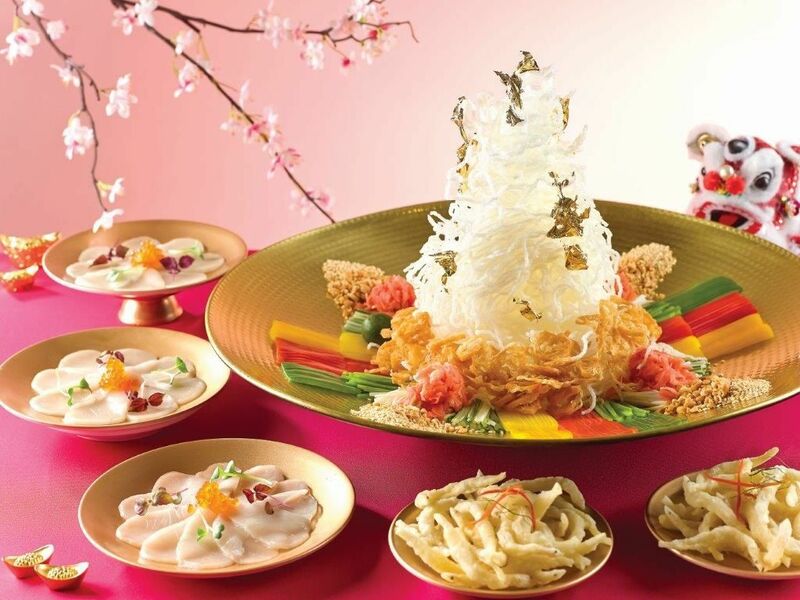 Order of the Imperial Five Treasures Golden Shunde Yu Sheng must be made at least seven days in advance. If not, go for the regular Yu Sheng with Salmon ($55/75), or with Abalone ($75/85). I gave the Shark's fin with Chicken wanton soup a miss because I don't support the shark's fin trade (I don't think you should too). Pen Cai, a flavorful meat, seafood and veg casserole braised in stock, is my favorite CNY dish. 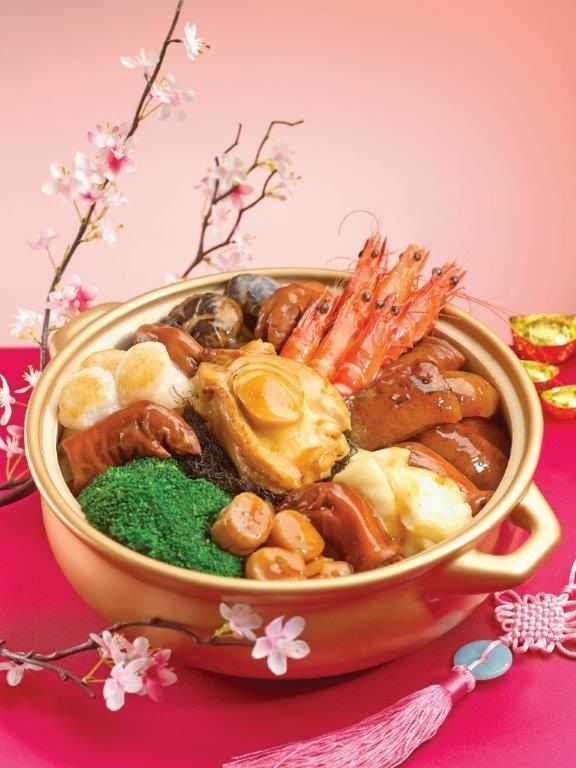 The Pen Cai with Nourishing Pig Trotters ($298nett for 6pax / $488nett for 10 pax) has three layers of 18 ingredients: Sliced Abalone, Sea Cucumber, Whole Conpoy, Prawn Balls, Roasted Duck, Roasted Pork Belly, Soya Chicken, Fatt Choy, Black Mushroom, Lotus Root, Broccoli, Radish, Beancurd Skin, Gingko Nut and Black Fungus. Hearty, comforting, delicious. The portion is very generous too. This dish is available for takeaway. Lobster Gems in Dual Style – Live Lobster sautéed with Fresh Lily Bulbs, Asparagus & Wolfberries, surrounded with Deep-fried Cheese Lobster Balls. I preferred the sautéed lobster as one would be able to taste the freshness of the meat. That said, oozy cheesy fried seafood can never go wrong. The Roasted Whole Suckling Pig ($255 nett) was stellar IMO. 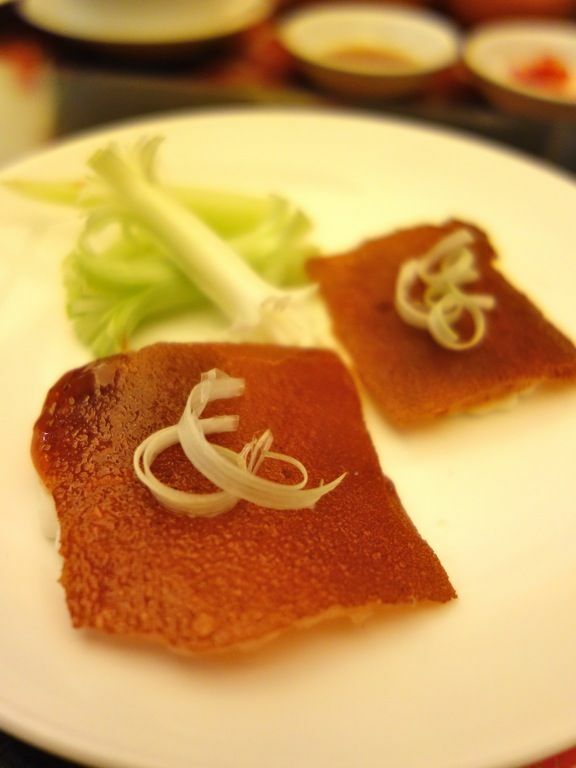 The style was served similar to Peking Duck. The combination of steamed skinny mantou, sweet sauce and crackly skin was just mind blowing. You could choose how you want the rest of the meat prepared. We had it roasted with the sweet sauce and it was juicy and delicious. Dessert was a wickedly rich fried durian parcel with decadently creamy and sore throat inducing durian flesh. Make sure you drink plenty of water or herbal tea after this one! Park Palace CNY Dinner set menu is available in their Grand Ballroom on 30 Jan and is priced at $558 for 6pax, $858 for 10pax. There are also 8 different set menus available, catering to varied group sizes. The CNY menu is available till 14 Feb 2014.